Next Generation Web: Will Siri Spark Machines Talking to Machines? The necessary connectivity exists currently and improvements of sensors for tracking everything — weather, inventory, traffic conditions, etc. — will provide the necessary information. Amazon announced it has expanded its trade-in program to include the Kindle and other e-readers. A used Kindle is reportedly worth $25 to $135, and the customer will receive an Amazon gift card in exchange. To help encourage trade-ins, the company is also offering free shipping. Sprint to Limit Unlimited 4G Mobile Broadband: Will Smartphones be Next? Sprint announced it will replace its unlimited 4G mobile broadband for mobile hotspots and devices with three new tiered data plans. Starting in November, “users of mobile hotspots, USB modems, tablets and notebooks will pay $45 for 3GB of combined 3G and 4G, $60 for 5GB and $90 for 10GB of combined data,” where before only 3G data had limits. 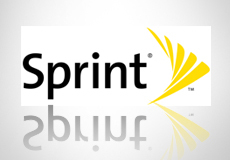 Some are concerned that this prefaces the end of Sprint’s unlimited data plans for smartphones, a differentiating factor from other providers and a selling point for the Sprint iPhone. Looking for the flexibility and power of HTML5, Amazon has announced its new e-book format, Kindle Format 8 (KF8). The new format will help take advantage of the richer features expected with its upcoming Android-powered, full-color Kindle Fire. KindleGen 2, the new KF8 publishing tool, is expected to be available soon. The number of Americans who use social networks has grown 37 percent over the past year, according to comScore. In August for example, 72.2 million Americans accessed social sites or blogs via mobile devices. The new comScore study also indicates the number of mobile users who accessed Facebook, Twitter and LinkedIn increased by at least 50 percent for each service in the past year. Recent speculation has suggested that Apple will produce an “iPad mini” to compete with the $199 price tag of the Amazon Kindle Fire, but many analysts doubt the possibility. For one, if Apple is looking to compete with the Kindle Fire — which it has already denounced as a threat — it would have to compete in price, not size. A recent study showed that two-thirds of consumers want 10-inch devices while only 9 percent want a 7-inch tablet. Additionally, the new size would complicate the development of apps, which have been specifically designed for the 3.5-inch and 9.7-inch displays of current Apple devices. And the final reason: “Steve Jobs emphatically stated that 7-inch tablets are too small for a pleasant touchscreen experience,” writes Wired. Apple co-founder Steve Wozniak likes the excitement of a new product release and tries to be first in line, despite the fact that Apple will ship him products. He was #1 on line at the Apple store in Los Gatos, California and stayed up all night tweeting about it. A new study from Nielsen shows that approximately 40 percent of tablet and smartphone owners use their devices on a daily basis while simultaneously viewing television. The figures jump to 70 percent for users who do the same several times a week. Most of these viewers are primarily checking email, followed by surfing information and accessing social networks, suggesting strong potential for second-screen applications. Will Siri Serve as the Foundation for our Next-Gen Remote Controls? If consumers take to the new virtual personal assistant technology Siri, featured in Apple’s iPhone 4S, we may see significant change to other devices such as the TV remote control. Norman Winarsky, VP of ventures at SRI (involved in the development of Siri), told MIT’s Technology Review that, “within a decade, virtual personal assistants would be ubiquitous, integrated into the fabric of many devices,” and that their value could hike into the 100 billion dollar level. The GSMA released research this week that outlines the market opportunity and revenue potential for connected devices. This would create a $1.2 trillion market opportunity for the wireless industry, seven times what is expected for 2011. These opportunities include increased connectivity with appliances, consumer electronic devices, and across sectors such as the health and automotive industries. In a related story, Jon Peddie Research predicts that 300 million tablets will ship in 2016. Also, the firm expects three quarters of a billion smartphones will ship in 2016 and there will be increases in handheld game consoles and e-book readers. The post also indicates that AT&T has announced “Toggle,” which allows Android users to separate professional and personal use by creating two different modes. This will help keep personal data private from IT managers. Why are Consumers Buying the iPhone 4S and not Waiting for Version 5? Launch day pre-orders for Apple’s iPhone 4S have already reached capacity, according to Verizon, AT&T and Apple. The only remaining model that is available for pre-sale is Sprint’s 32GB model. In just 24 hours, the iPhone 4S pre-orders reportedly beat the one million mark, despite disappointment regarding no announcement yet for the iPhone 5. According to Forbes, people aren’t waiting for the iPhone 5 for five reasons: 1) Users just want the latest technology now and aren’t going to wait; 2) “Many believe that the iPhone 4S really is the iPhone 5” and that Apple simply decided to misname it; 3) Sprint users can now join the iPhone club; 4) The 8 megapixel camera; and 5) “People really need a personal assistant” — while Siri may not be a “revolution,” many consumers are interested in the voice-recognition software. Cloud Battle Begins: Should Amazon take Lessons from Apple iCloud? In order for Amazon to stay competitive in the cloud computing market, its S3 (Simple Storage Service) and EC2 (Elastic Cloud Computing) could take some notes from Apple’s iCloud (launching October 12). Seamless integration “provides iCloud with huge scale advantages over Amazon,” suggests Forbes, by wirelessly storing content from iPhones, iPads, the iPod touch, Macs or PCs and automatically pushing content to all devices. The article points that little is yet known about Amazon’s other competitor, Google’s GDrive. ETCentric previously reported that the Indian government had been promising the world’s most affordable tablet PC for quite some time. The wait is now over, and the Aakash tablet has finally launched. Running on Android 2.2 and boasting 32GB of Flash memory, 256MB RAM, two USB ports, and a 7-inch screen, the tablet will be sold to students for $35 and the general public for $50-$70 (current reports vary). The Indian government is subsidizing the tablets (about $50 per tablet) to make them affordable. The student version will reportedly not feature a SIM card though, meaning that student users will need to rely on Wi-Fi for the time being. The government hopes this project will help bolster India’s connectivity, which is below 10 percent penetration and limits the online potential of the nation’s 1.2 billion citizens. Apple CEO Tim Cook officially unveiled the company’s new iPhone 4S yesterday from Cupertino. The smartphone is expected to ship by October 14. The new version features a dual core processor with up to 7x faster graphics performance, an 8 megapixel digital camera that can capture 1080P video, a GSM/CDMA radio with enhancements to speed data downloading and more. The biggest news is possibly Siri, Apple’s voice-command assistant that can handle surprisingly complex commands and dictation (the name comes from a “virtual personal assistant” company that Apple purchased last year). While some have expressed disappointment that Apple didn’t release the iPhone 5 this week, early reaction to the iPhone 4S features seem positive. The device’s new A5 processor, for example, is the chip used in the iPad 2, and packs an Apple-designed digital signal processor that helps with things like face detection. The phone also now supports the faster HSPA+ network. The 8MP camera features backside illumination, allowing it to gather 73 percent more light and have 1/3 faster photo-snapping speed. It can also record higher-resolution 1080p high-definition video. The iPhone 4S supports mirroring to a TV over AirPlay, Apple TV or a wired connection, while also packing iOS 5. “The 4S will come in both black and white, starting at $199 for 16GB and $299 for the 32GB, but the big news is a new 64GB model coming in at a whopping $399,” reports Engadget. Additionally, Sprint will now be offering the 8GB iPhone 4 and iPhone 4S. Sprint customers can place pre-orders for the device starting this Friday, October 7th.